Home Depot best place to get a Fireplace this fall? 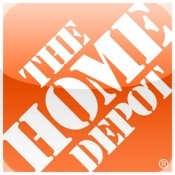 Continuing on our furniture and homes for Smartphones article, we're now going to cover what home depot has to offer. Oh and if you really need a fireplace as the leaves fall this Autumn we've got something special for you too. This is possibly one of the best home shopping apps we've seen. You're not only able to research and purchase over 240 thousand Home Depot products ( including, I'm sure, that fireplace for Autumn) but you can also check the inventory of local Home Depot outlets and buy and pick up in store. A store locator is of course mandatory for a shopping app, but this is the first time we've seen a 'buy and send eGift Card capability. The app then goes one step further in taking the D'OH out of D.I.Y and even includes How To DIY projects and videos. So if you want to rejuvenate your home this fall / winter this Home Depot App could be the way to do it. The app is updated periodically so could be a good source of Home Depot coupons for saving too. Of course if you really can't be bothered with DIY then Apple has another solution for you to cosy up your home this winter : " The FirePlace App !" Enjoy the sights and sounds of real fireplaces all year round, and of course there's no mess to clean up and the cat won't set itself on fire again! Yes, it's just a Fireplace Picture but well it does make the room look cosy, if you've got nothing better to do with your iPad than leave it propped in the corner showing a Fireplace picture! If your'e impressed by Home Depots foray into the app world then be sure to check out this Sears App too, giving you all the best that Sears has to offer.